The Chelsea 8-piece patio sectional sofa set by Living Source International includes two corner sofas, four armless sofas, two cup holder tables, and coffee table to create a great space for entertaining. 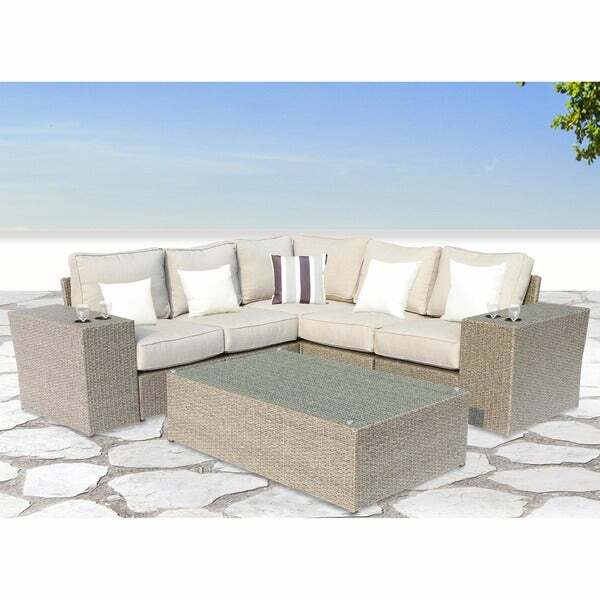 Featuring grey wicker construction and 5-inch thick Ultrasoft Cushions provide ample space in your backyard or patio for you and your guests. "What are the dimensions of the armless pieces?"